LKB Saraswati (Lembaga Kesenian Bali Saraswati, Saraswati Bali Arts Institute) was established in 1968, Jakarta. LKB Saraswati has several branches for teaching Balinese traditional dance and Balinese percussion music, gamelan. Since its establishment, they have performed over 1,500 stages at home and abroad including Japan, China, Australia, North America and Germany. Besides they have collaborated with jazz and contemporary musicians. In addition to the traditional music, they are actively making collaboration with music, such as jazz and contemporary. Founded in 2001, one of the Philippines' pioneering Contemporary Dance companies. The company is a product of the coming together of dance artists with varied backgrounds from classical and modern ballet, to jazz and ballroom, to hip-hop, martial arts etc. Airdance continues to perform locally and internationally in festivals, collaborations and other events. The company has represented the Philippines at the World Expo in Japan and at the Asia Arts Festival in China. 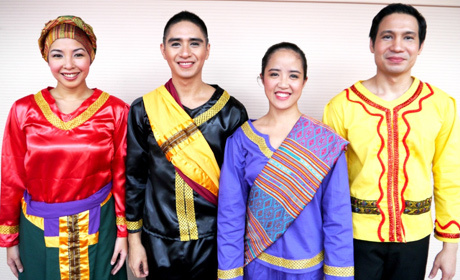 Dancers with a great deal of traditional dance are selected for the "MAU: J-ASEAN Dance Collaboration". Aswara Dance Company (ADC) is a professional dance company established in 2011, specializing in traditional and contemporary Malaysian dance performance and choreography. 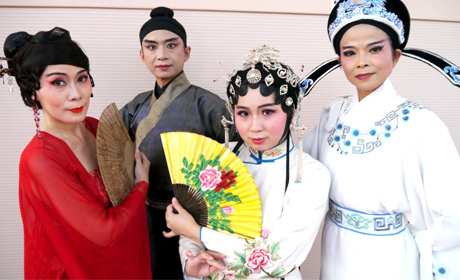 ADC comprises graduates of the Faculty of Dance ASWARA who are trained in the unique multicultural syllabus striving for excellence in multiple genres of dance that reflect the multiple identities of Malaysia. *ASWARA(Akademi Seni Budaya & Warisan Kebangsaan) =National Art Culture and Heritage Academy is the only higher learning institution in performing area which is fully supported by Malaysian Government under the Ministry of Unity, Cultural, Art and Heritage Malaysia. Musicians who take part in this project are graduates of the Faculty of Music ASWARA. In 1983 Siong Leng participated in the Llangollen Musical Eisteddfod in Wales and won the Third Prize in Folk Song Solo and the Fourth Prize in Ensemble Performance. In 1987, former chairman Teng Mah Seng received the Cultural Medallion, Singapore’s highest honor for artists, for his work in the field of music. Traditional school of Nihon Buyou (traditional Japanese dance) with 300 years of time-honored history, founded in 1704 by Fujima Kanbei I. The Fujima School is a one of the five largest schools. Before he became Kabuki Actor, he used to perform in the production of Children's Theater. He made a debut at Kabuki-za, the principal theater in Tokyo for the traditional kabuki in1988. He became a disciple of the Kabuki actor Sawamura Tojuro in 1995. Given a stage name "Sawamura Kuniya"in the same year. He received the Encouragement Award of Japan Actors Association (Nihon Haiyu Kyokai) 2012. Asia and Oceania Section, Arts and Culture Dept.